Spring Feng Shui tips will help refresh home interiors, add more light to dark corners in your rooms, stimulate the energy flow and create more positive environment, bright and optimistic atmosphere that attract pleasant changes, health and wealth to your home in spring. Spring Feng Shui tips are simple and have a common sense. 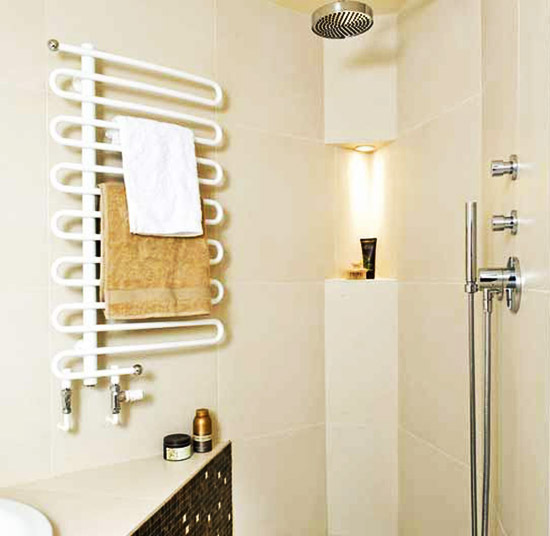 Dark corners in your home and bathrooms collect negative energy, especially during long winter nights. Simple and easy to follow Feng Shui tips will help neutralize the negative effect, finding the best way for your home to bring more light and energy into dark corners. Light is one of the most powerful Feng Shui cures, which can be used for interior decorating or home staging. Adding more lighting fixtures and candles to your home decor stimulates the energy flow and balance your home decorating ideas. 1. 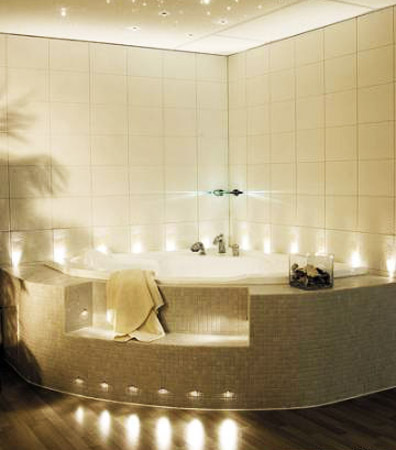 Lighting fixtures with dimmers and small candles create cozy environment, adding more harmony to your home interiors. Bright light fills homes with dynamic energy and attract changes that are unexpected and pleasant. 2. Reflected light beautify your home decorating ideas. Mirrors, ceramic and glass vases, crystal chandeliers and table lamps, items made of stainless steel or polished metal work well as Feng Shui cures, creating bright home decorating in spring. 3. Lighting fixtures, floor lamps and table lamps, night lights and wall sconces, located in a room corner Feng Shui homes, neutralizing the stagnating energy. A mirror that reflect light into a dark corner is a great way to neutralize the negative energy and keep the energy flow moving throughout your home interiors. 4. Changing linens, floor rugs, window curtains, tablecloth and decorative pillow covers colors from dark to light, colorful and bright will add more light to your home interiors and Feng Shui room decor. 5. There are many different types of window treatments, blinds and shades on the market. 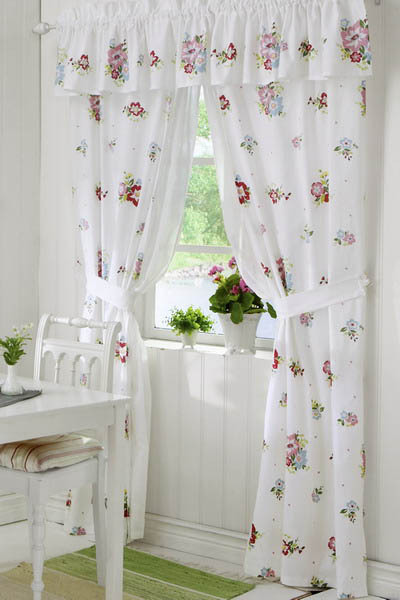 Select natural materials and breezy curtain fabrics for spring window decoration. Change your window curtains to shutters, blinds to roman shades, bringing new decorative accents and light room colors into your home interiors in spring. 6. Doorways decorations in light colors help Feng Shui home interiors in spring also, adding more light to dark places and keeping the energy flow stadily mooving through your home. 7. You can paint funiture and decor accessories light color or decorate a plant container with light fabric, sewing a simple bag and fixing it with a decorative cord, adding unique touch to your home spring decorating. Spring home decorating is about a dramatic change and a new beginning. 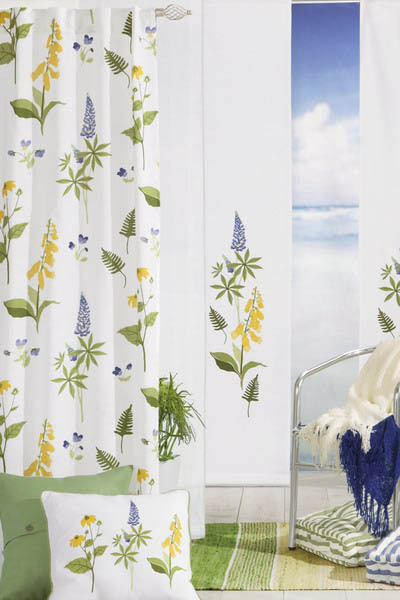 Change window curtains and rugs, tablecloths and napkins, bedspreads and cushion covers, celebrating spring home decorating ideas that Feng Shui homes.